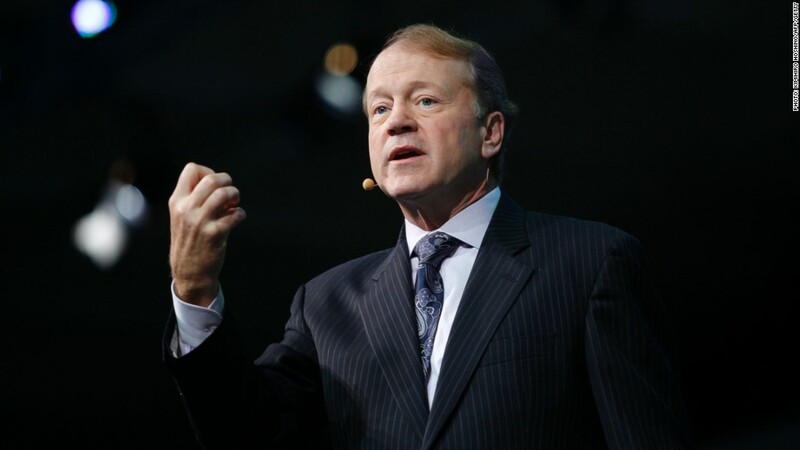 Cisco announced Wednesday that it will cut 4,000 jobs, citing a difficult economic climate. The layoffs, which account for 5% of the company's workforce, will begin in 2014. Shares of Cisco (CSCO) plunged 10% in after-hours trading. The stock had initially slipped by 4% after Cisco released its financial results for its fiscal fourth quarter. In the prior two quarters, Chambers had said he was cautiously optimistic and that the economic environment was "slow but steady." He struck a decidedly more sedate tone on Wednesday's conference call with Wall Street analysts, saying the global economic environment has been "challenging and inconsistent." Chambers explained he's "real pleased" with Cisco's growth, but "it's just not growing as fast as we need." The company needs to work more quickly and focus on growth areas, he said. But he made clear that he isn't at all worried about Cisco's performance against its competitors. "A lot of it depends on GDP and global markets growth," Chambers said. "We're just not seeing it." Overall, Cisco earned $2.8 billion on sales of $12.4 billion for its fiscal fourth quarter -- and each figure was just a hair above Wall Street expectations. In-line results weren't quite enough to please investors who have become accustomed to Cisco trouncing analysts' forecasts. Cisco's focus on hot Internet trends like video, wireless and big data has helped propel the company's earnings to new heights lately. Shares are up 34% so far this year. The company also reported it has an incredible $50.6 billion in cash, up more than $3 billion from the previous quarter. Cisco and other big tech companies including Apple (AAPL) and Microsoft (MSFT) have been amassing large cash hoards during the past few years. Cisco touches all parts of the networking process, and the company's success is largely tied to sentiment about the world's economy. Many large businesses and government agencies are Cisco customers, and they're unlikely to buy up networking equipment when they're worried about the economic situation. Meanwhile, Cisco has worked to evolve past its history as the king of switchers and routers, because the Internet networking world is changing. Though those core businesses have continued to comprise half of the company's revenue, switches and routers have been declining.